London, Oct 12 : A corroded, barnacle-covered pocket watch recovered from a seventeenth-century wreck has revealed exquisite workmanship and almost perfectly preserved internal mechanisms of the rusty relic. Researchers from the National Museums Scotland in Edinburgh used state of the art x-ray scans to reveal the delicate cogwheels and Egyptian-style pillars to the maker’s inscription. They used the images to construct a three-dimensional virtual reconstruction of the watch’s lost workings. The watch and three-dimensional reconstruction are now on display in the Treasured exhibition of the National Museum of Scotland until 2011. It was found on a wreck believed to be the Swan – a small warship that sank off the west coast of Scotland during the English Civil War. 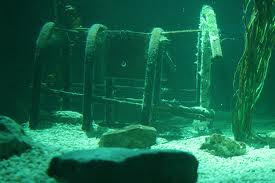 A naval diver discovered the wreck in the 1970s, and it was excavated in the 1990s. Andrew Ramsey and his colleagues at the company X-Tek Systems in Tring, Hertfordshire, UK, had developed an improved CT technique using small yet high-voltage X-ray sources, which enabled them to obtain very high-resolution images, even when penetrating dense metal. Troalen and Cox took the Swan watch to X-Tek (now owned by Nikon), and the resulting images taken by Ramsey and his colleagues have a resolution of 63 micrometres2 and show that much of the mechanism inside the watch is perfectly preserved. “The results surpassed all of our expectations. We never thought that so much of the mechanism would have survived,” Nature quoted Troalen as saying.